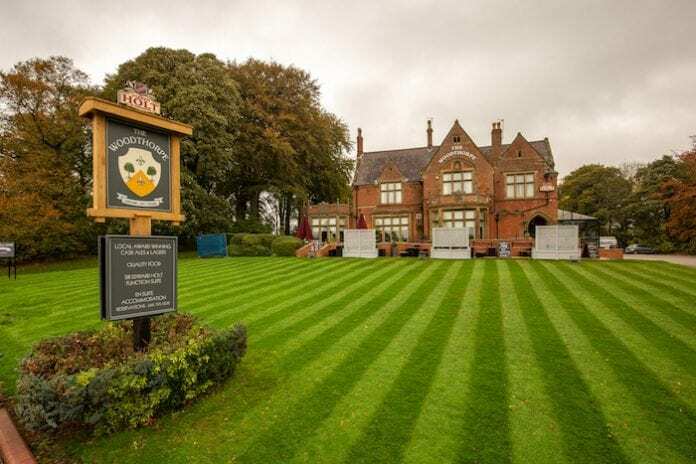 Joseph Holt’s historic Woodthorpe Hotel has had a £500k facelift. The impressive building on Bury Old Road near Heaton Park has undergone a serious refurb which celebrates the building’s Victorian heritage. It’s given the pub a new lease of life – and locals are loving it. The refurb includes a new, specially designated dog-friendly area so locals can bring in their pooches after a nice walk through Heaton Park. There’s an extended function suite, a family dining area, a more centralised ‘vault’ as well as finely furnished en suite accommodation. Alongside more modern touches, there are lots of characterful period features, including an original fireplace and art deco ceilings. And customers can enjoy a taste of the pub’s history as well as their favourite tipple. 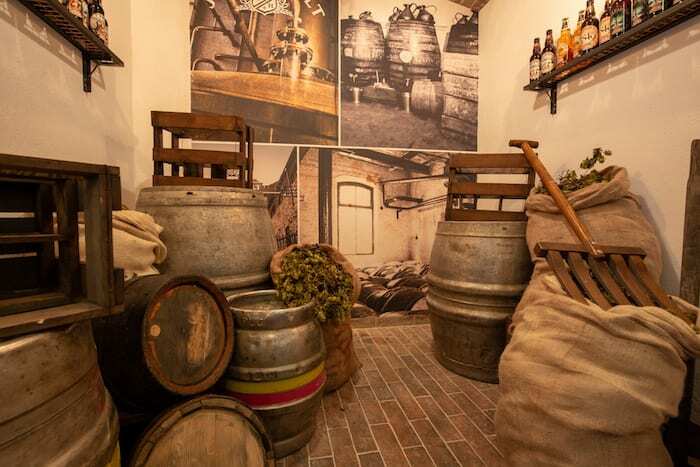 An entrance display featuring hops, barrels, kegs and old casks gives a flavour of what goes into making their award-winning ales and lagers. To add to that, pictures of founder Joseph Holt, his wife Catherine and their son Sir Edward are also on display, showcasing the fascinating history of one of Manchester’s biggest independent family breweries. Bury-born Joseph Holt began his career as a carter at Harrison’s Strangeways Brewery. He started brewing his own beer 160 years ago and the rise of Joseph Holt Brewery began. 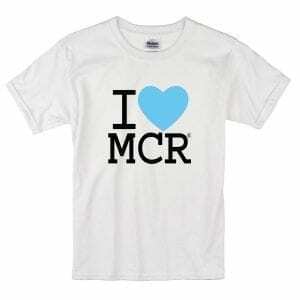 In 1849 he married Catherine Parry who suggested that they remortgage their home to finance a small brewery behind a pub in Oak Street in the centre of Manchester. When business blossomed, the Holts moved to the Ducie Bridge Brewery and subsequently to Empire Street off Cheetham Hill Road, where the brewery is still located. Built in 1861, The Woodthorpe was bought by Joseph Holt’s son Sir Edward Holt and became his family home up until 1935. It was commandeered by the Ministry of Defence during World War II and became a food preparation centre for local schools before opening as a pub and hotel in 1955. The pub was used for the wake of The Fall front man Mark E Smith who died last year. It was one of his favourite pubs and it’s where the video for There’s a Ghost in my House was shot. Richard Kershaw, chief executive of Joseph Holt Brewery and fifth generation descendant of the Holt family said: “The Woodthorpe is one of our oldest pubs and we are immensely proud of the Holt family story. It’s a striking building which says much about the history of the area. “The building itself dates back to 1861 and was first home to my great grandfather Sir Edward Holt. So when we embarked on the refurbishments, it was important to marry those wonderful elements of the past with the needs of what drinkers want from a pub today. 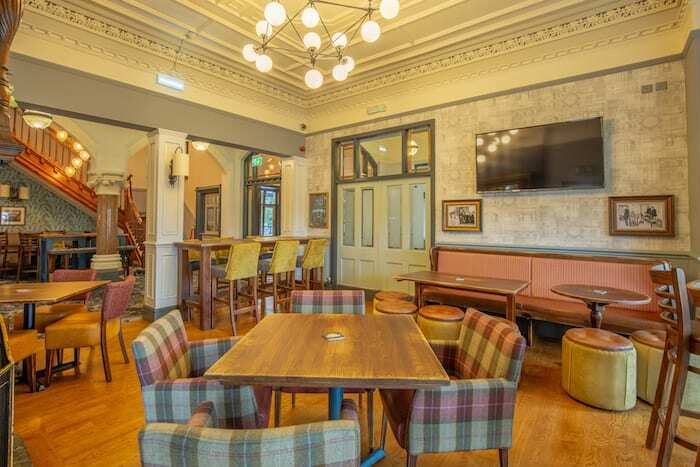 “During the refurbishment, we wanted to respect the past while maintaining a comfortable but stylish area and be mindful of what the future now looks like for all British pubs – which is an all inclusive and comfortable for both diners and drinker. “I am sure my great grandfather would be extremely proud of how his home looks today.” So are we.